The all-new LensChek™ Pro Digital Lensometer® with PD + UV, part of the VisionChek™ Digital Exam Suite, combines technology with simplicity at the core of your exam. 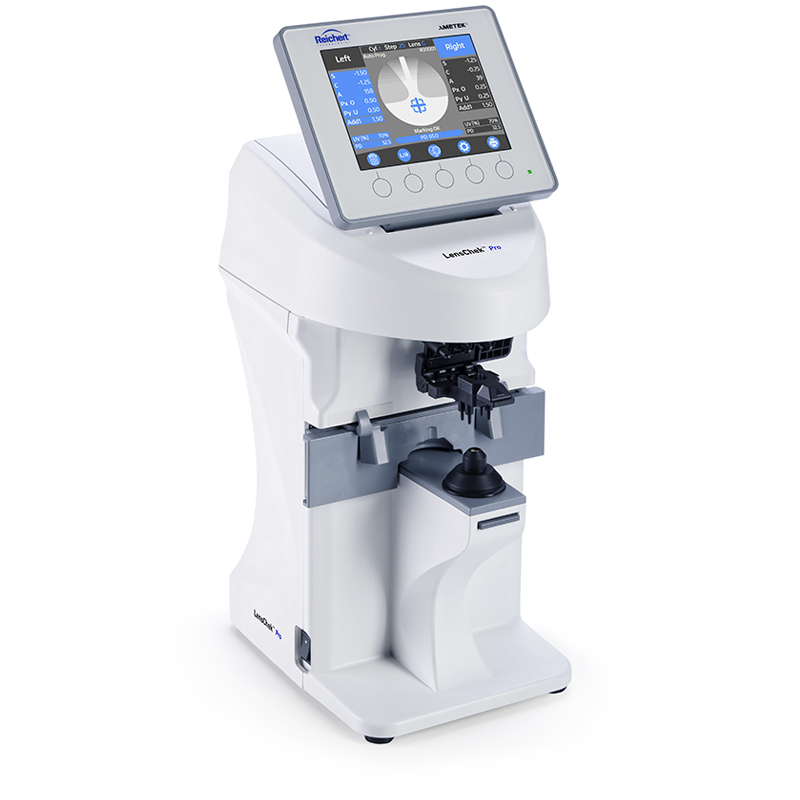 The new, compact, modern design and intuitive user interface of the LensChek Pro Digital Lensometer offers the easiest lensmeter user experience available. For example, when the target is aligned with the correct optical center, readings can be automatically “locked-in” ensuring fast, repeatable, and reliable lens measurement. LensChek Pro additionally features UV transmittance and PD measurement.